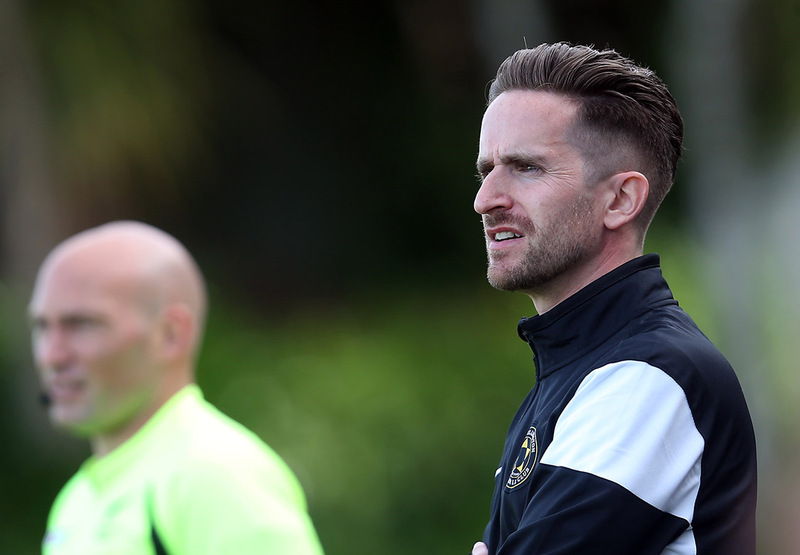 Team Wellington coach Jose Figueira says an intensely competitive domestic campaign leaves his side primed for the start of the OFC Champions League group stage in New Caledonia this weekend. The two-time OFC Champions League finalist begin their quest to go one better than 2015 and 2016 in the northern New Caledonia town of Koné where they are grouped with hosts Hienghéne Sport and Fijian champions Ba. They begin, however, with Puaikura FC from the Cook Islands who earned their group stage debut by winning the OFC Champions League qualifier last month in Tonga. On the domestic front, the defending New Zealand champions are locked in the tightest Stirling Sports Premiership playoff race in recent memory and while they currently sit second on the table with just two games to play, they could finish anywhere from top to sixth place, such is the closeness of the race. Figueira, in his first year at the helm of Team Wellington, believes the season-long scrap for points has his team focused rather than fatigued. “It leaves us in a great place,” he said. “The competitive nature of the league week in and week out means we can’t get comfortable. We have to keep our standards high; the way we prepare, the way we train and it’s left us in a really good place heading to New Caledonia. Wellington’s two previous Champions League campaigns have both ended at the hands of Auckland City at the last hurdle, including a fiery 2015 final that finsihed in a penalty shootout. Figueira has kept a core of the squad he inherited from Matt Calcott and says their experience in the competition and painful memories of those final defeats will drive the whole group as they chase a place in the 2017 FIFA Club World Cup. “It’s key to have players who have experienced these competitions,” Figueira said. “Firstly, the conditions are very different so to have that core experience playing in the islands is huge. And secondly, within that core group who have been close to tasting victory there’s a real hunger to get over the line and go one step further. “For those two reasons having those sort of players – Bill Robertson, Tom Jackson and others who have been there in the last two campaigns – adds a great deal of value to the team, our preparation and our mindset of the team as we head over there. The new enlarged format of this season’s OFC Champions League where only the top team progresses to the semi-finals, as opposed to up to two in previous years, will keep Wellington and others on their toes. “There’s no room for error. Every game is of huge value, and every opponent needs to be taken even more seriously,” Figueira said. “In the past there may have been a bit of wriggle room if you had a slip but we’ve got to be at the very top of our game in all three. It brings about a real focus of purpose. Team Wellington touch down in New Caledonia on Friday and open their Group B campaign at Stade Yoshida in Konè on Sunday evening. Ba and Hienghène Sport have the late kick-off. The group stage of the OFC Champions League gets underway in Noumea on Saturday where the opening Group A clashes see New Caledonian champions AS Magenta square off against qualifiers Lupe Ole Soaga from Samoa while Papua New Guinea’s Madang FC take on AS Central Sport from Tahiti.